3 ESTRELLAS "Hostal Boutique Tren Del Sur has a special treatment to each of their passengers, thus achieving create a pleasant environment and friendly staff serv..."
Hostal Boutique Tren Del Sur has a special treatment to each of their passengers, thus achieving create a pleasant environment and friendly staff serving both as its infrastructure. Awaits in the beautiful city of Puerto Montt. Our hostel is built with fine materials, mostly of larch, native wood and the most remarkable "railway sleepers", which corresponded to the old trains in southern Chile. Beautiful rooms set in the most rustic, spacious and Jacuzzi. Rooms decorated in a very warm and welcoming. 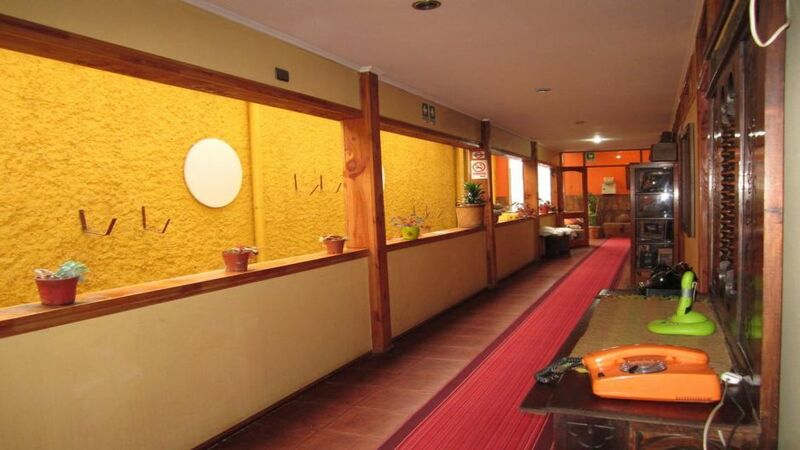 Beautiful cozy rooms, especially for individuals or families on holiday or business at very convenient prices.